River Hardware River Gear – Offers rafting throw bags, tarps, and frames. Northwest River Supplies (NRS) – kayaking gear rafting supplies and boating equipment. Outdoor Play – Kayak, Canoe and Raft equipment & accessory sales. www.riverjang.com – Used river rafting gear for sale. Kokatat – Kokatat will help make your experience on the water more fun with clothing that keeps you warm, dry, and comfortable. Cascade Outfitters – Rafting and kayaking gear. Aire Rafts– Simply the world’s best inflatable rafts and kayaks. River Connection – Your source for inflatable boats, kayaks, whitewater rafting equipment, fishing supplies, and camping gear! Elam Raft Trailers – Your trailer source for rafting, utility or general hauling. Wild & Scenic Rivers – to preserve certain rivers with outstanding natural, cultural, and recreational values in a free-flowing condition for the enjoyment of present and future generations. Oregonrafting.org – Oregon Rafting Information. American Whitewater – American Whitewater restores rivers dewatered by hydropower dams, eliminates water degradation, improves public land management and protects public access to rivers for responsible recreational use. International Rafting Federation – The IRF is an assembly of national associations and organisations with the goal of harmoniously developing, organising and assuring rafting’s future and that of international competition. Deschutes River Boater Pass System – Lower Deschutes River Management Area Boater Pass System. Owyhee River BLM Idaho – Info on boating the Owyhee River system. 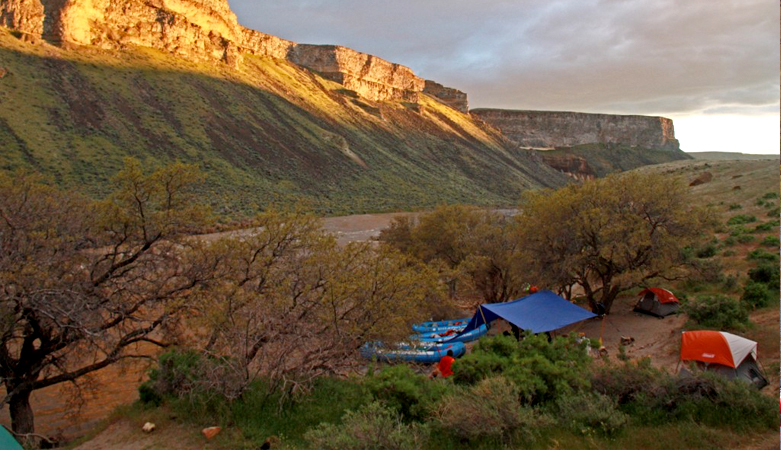 Owyhee River BLM Oregon – Owyhee River boating information. www.kayakonline.com – Kayak online is a resource for finding info on kayak equipment. Oregon’s Rogue River – Information about rafting on the Rogue River. www.crgkayaking.blogspot.com – Oregon and Washington kayak stories, trips and expeditions. Soggy Sneakers – A Guide to Oregon and SW Washington Rivers to run! Paddling Oregon – A river guide to Oregon Rivers! Idaho Whitewater – A comprehensive guide to Idaho Rivers! Washington Whitewater – A very good resource for the many rivers and creeks of Washington! California and Oregon Rafting – Information about boating the rivers of California and Oregon. self-propelled outdoor recreation in the US. Looking for Adventure – Your Search Engine for Adventure, Travel, Sports, Recreation, Gear and More. Search the Outdoors – Outdoor pursuits and sports search engine. First Nature Tours -Portland Tours with Private Tour Guides and Exclusive Portalnd Tours of City Sites, Mt Hood, Mt Rainier, Willamette Wine, and Mt St Helens. Hood River Lavender Farms – Certified Organic U-pick Lavender Farm in Hood River, OR. Open April-Nov daily, an Oregon Tourist Attraction. Columbia River Gorge National Scenic Area – The Columbia River Gorge is a spectacular river canyon cutting the only sea-level route through the Cascade Mountain Range. Gorge Games – Created out of a love for the Columbia River Gorge, The Gorge Games celebrate the outstanding sports, sports venues and communities making the Columbia River Gorge a wonderful place to visit and to live. Skyfest – Skyfest, The Skykomish River Festival, which has been held annually in Index, Washington, originated in 1996 as the brainstorm of a group of dedicated kayakers. ECHO River Trips – Family vacations on Oregon’s Rogue River and Idaho’s Middle Fork of the Salmon River. Sundance River Center offers rafting trips and whitewater kayak instruction on the Rogue River in Oregon. Rogue River Journeys – Rafting trips on Southern Oregon’s Rogue River. Idaho River Journeys – Rafting trips on Idaho’s Middle Fork and Main Salmon Rivers. Kern River Outfitters – Rafting trips on Southern California’s Kern River. California whitewater rafting information on river trips with a list of commercial outfitters, descriptions and other river rafting resources. American Whitewater – American Whitewater Expeditions offers the top white water rafting trips on California rivers American River for all ages and skill levels. Collins and Denver on the the Cache La Poudre River. Smoky Mountain Outfitters – We’ll send you packin! We carry backpacking and camping gear and offer guided hiking trips in Smoky Mountain National Park. Tennessee Rafting Trips – Smoky Mountain Outdoors has been providing White Water Rafting in Tennessee on the Big Pigeon River near Smoky Mountain National Park since 1993. All of our Tennessee rafting trips include an experienced guide to keep your adventure safe and enjoyable. Penobscot Adventures offers whitewater rafting, riverboarding, and vacation rentals in Maine. www.aventuraspanama.com – Rafting vacations in Panama. Small World Aventures – kayaking or rafting trip in Ecuador, South America. Enjoy kayaking,and whitewater rafting, guided river tours, the best whitewater in South America, vacation in Latin America, with Small World Adventures, Paddle trips and lodging at Cabanas Tres Rios. Now open year around for groups and individuals. Brian’s Pourhouse – offers fantastic dining and catering service in the Columbia Gorge. Maupin Market – Full Service Grocery Store offering all that you need for a camping trip, quick bite or tasty beverages.